In Thailand, the Northern Women’s Development Foundation (NWDF) co-ordinates the Promoting Good Practice of Cleft Care in Thailand and Developing Multidisciplinary Cleft Care in Thailand project. 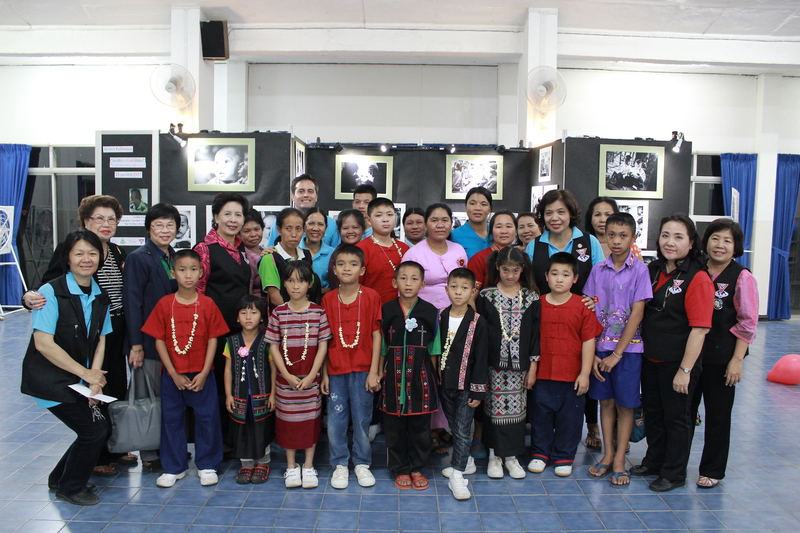 The project originated as a response to the need for cleft lip and palate surgery for children from tribal groups in Northern Thailand, where many families cannot afford the costs of surgery and rehabilitation. Many are migrant workers from neighbouring Laos and Myanmar, do not hold Thai identity cards or do not benefit from public health care. In 2013, NWDF provided services to 217 patients through 1,348 interventions. From July to December 2013, they treated 17 new patients. In addition to this, they also focused on speech camps and training last year. In addition to funds received from TF, the local Thai team also solicits donations from local sources in order to enhance their work. Last year, the Thai team raised 233,953.08 Baht (approximately $7,900 CAD) through donation boxes, volunteer fundraisers and their networks. On a trip in early 2014, the TF team was able to attend NWDF’s cleft fundraising event, pictured above, where patients performed songs (including “Que Sera Sera“) and project supporters donated about $8,000 USD through donations and a silent auction. Our partners networked a lot with speech therapists and social workers in the past year. As a result, the importance of speech therapy and dental education in cleft care was a major theme at the 6th annual meeting of the Thai Cleft Lip-Palate and Craniofacial Association in Bangkok. Surgeons from Laos received training in cleft surgical techniques with the cooperation of surgeons from Taiwan and other regions of Thailand. In addition to this, with the cooperation of Khon Kaen University and Overbrook Hospital, our partners facilitated the training of a surgeon, an anesthesiologist, a patient nurse and operating room nurse, as well as speech assistants in Laos. In 2014, our partner hopes to begin surgical training at Bokeo Hospital in Laos.